BISHKEK -- Jalal-Abad Province Court upheld on September 14 a City Court ruling which convicted two women who were recruiting individuals for Syria. "The convicts were a mother and daughter, 55-year-old Mokhirakhon Akimjanova of Avar District, Osh Province, and 30-year-old Nargizakhon Raimjonova, who were sentenced to six and seven years respectively," the Supreme Court press service told Caravanserai. According to court records, both women recruited young girls for the "Islamic State of Iraq and the Levant" (ISIL) for financial gain; they established an online connection with one of their victims, M. B., in an attempt to convince them to join an international terrorist organisation. Their story began a year and a half ago, when two recruiters - B. A. and A. A. - met M. I. on a social acquaintance website in April 2015. B. A. and A. A. started regularly talking with M.I. about religion, and sent her photos and videos depicting combat action against government forces in Syria. "At the same time, they brainwashed M. I., aiming to recruit her into ISIL. During the same time, B. A. and A. A. conspired to send R. A. and his sister Raimjonova funds to find new recruits and send them to Syria," Supreme Court Press Secretary Aynura Toktosheva said. According to Toktosheva, B. A. asked M. I. to get in touch with Akimjanova, so that Akimjanova could help her to get a Kyrgyzstani passport and a plane ticket and advance their criminal plans. B. A. wired the money through a bank to Raimjonova. In the meantime, her mother, Akimjanova, prepared and filled out M. I. 's passport. She turned in the relevant documents to the Osh City Urgent Documentation Department and paid the state fee of 7,500 KGS (about US $110) to obtain a Kyrgyzstani passport for M. I. Afterwards, the mother and daughter purchased plane tickets from Osh to Istanbul for themselves and M. I. on July 9, 2015. All of them planned to fly from Osh International Airport, and even managed to make it through border control, but were detained on suspicion of recruiting and extremism. Raimjonova wanted to meet her brother, R. A., who is a member of an international terrorist organisation, in Syria. Both of them supported ISIL, and Raimjonova had saved videos on her laptop that supported establishing a caliphate and urged others to wage the jihad. Forensic experts concluded that 12 of the videos on Raimjonova's personal computer were tied to the Islamic Movement for Uzbekistan (IMU), which is banned in Kyrgyzstan, and three of them were tied to ISIL, which served as grounds for her arrest. As a result, on June 2 Jalal-Abad City Court sentenced Raimjonova to seven years in a penal colony and denied her the right to access computer technology. Her mother was sentenced to six years in prison for recruiting and forging documents. 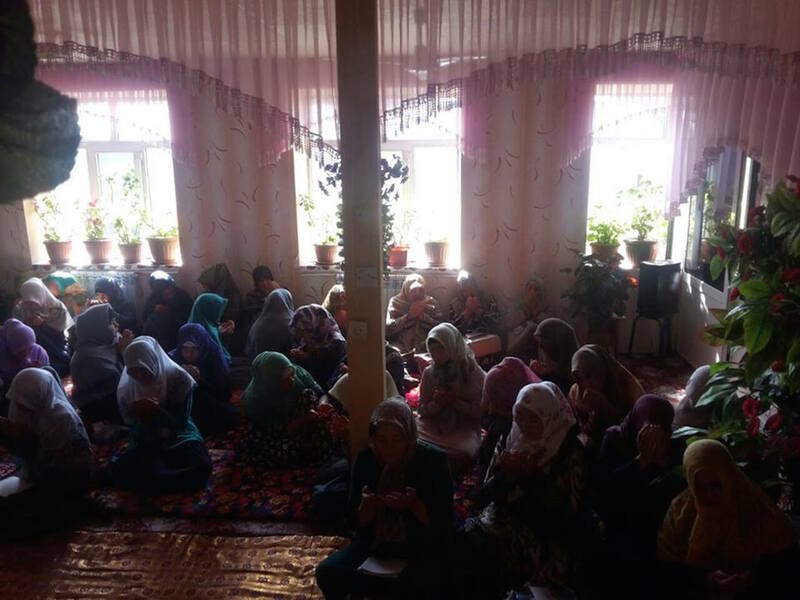 According to Imam-hatib Tynchtykbek Shaikov of Bazar-Korgon District, Jalal-Abad Province, Muslims poorly understand the word jihad, which in turn confuses them. Recruiters use an idiosyncratic interpretation of the word and poorly educated Muslims believe them, understanding the word to mean only fighting against infidels. "Jihad is first and foremost an inner struggle against your own prejudices and overcoming your vices. 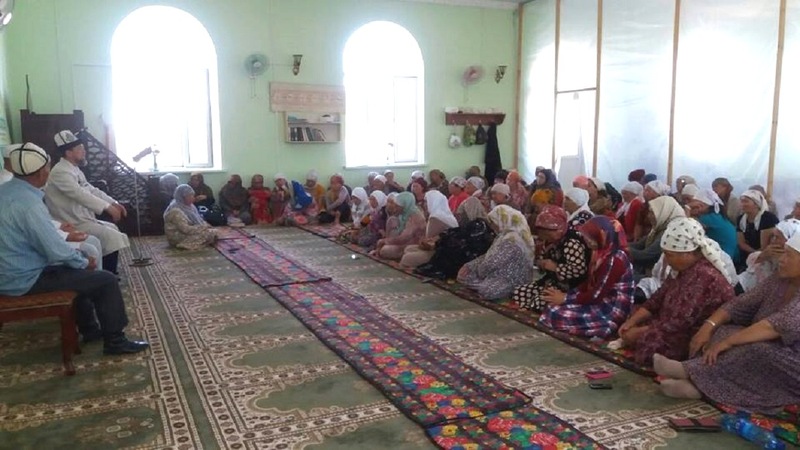 Current religious literature has no place for extremism and terrorism since they are incompatible with true Islam, which brings peace and goodness to every Muslim home," Shaikov said September 16 while speaking to Muslim girls in Imam Tirmizii Madrassa. He also stressed that all of these problems stem from the ignorance of believers, although the hadiths and verses clearly define all terms that appear in all holy books. During an interview with journalists on September 15, religious expert Kanatbek Murzakhalilov said terrorist extremist organisations will continue to actively use women for their ends. "Many of those who left for Syria later admitted that they made mistakes by falling prey to jihadists," Shaikov said. 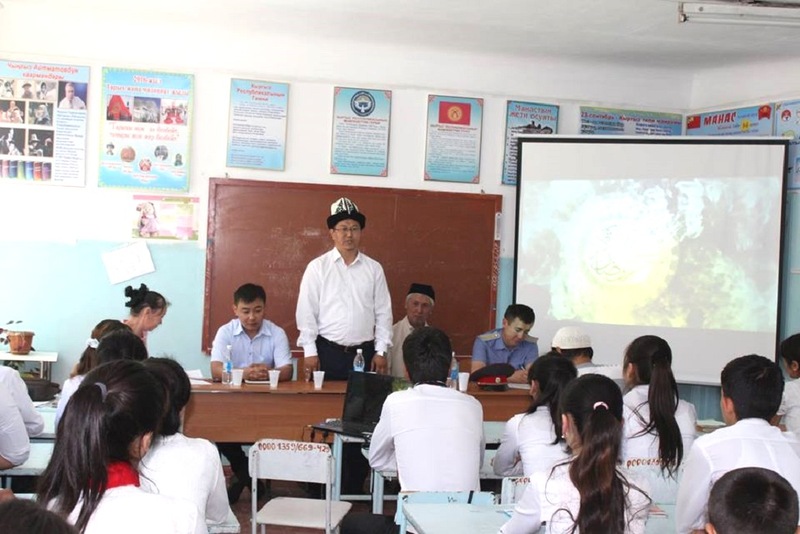 The number of Kyrgyz extremists appears to be declining, authorities say. It is the second time that Kyrgyzstan has convicted a woman of extremism.